I've actually received an email today that the caps will be ready to ship soon. Just got my shipping notification for the Rama cap, thanks Dailyclack! Weird. I just randomly wondered about these artisans this morning. Did they ever get made? Did I really order one or was that a dream? Rama caps are here and the first of the orders should be going out later this week. Wondering the same. Approaching 4 months delay from original shipping date with little to no update. We are waiting for the spacebars to arrive, which should be here next week or so. Once they are here, we will ship them out as soon as possible. That’s what they said a week before Chinese New Year iirc. So maybe... in 2 months. Got my RAMA cap, thanks! New Phantom update from zFrontier! 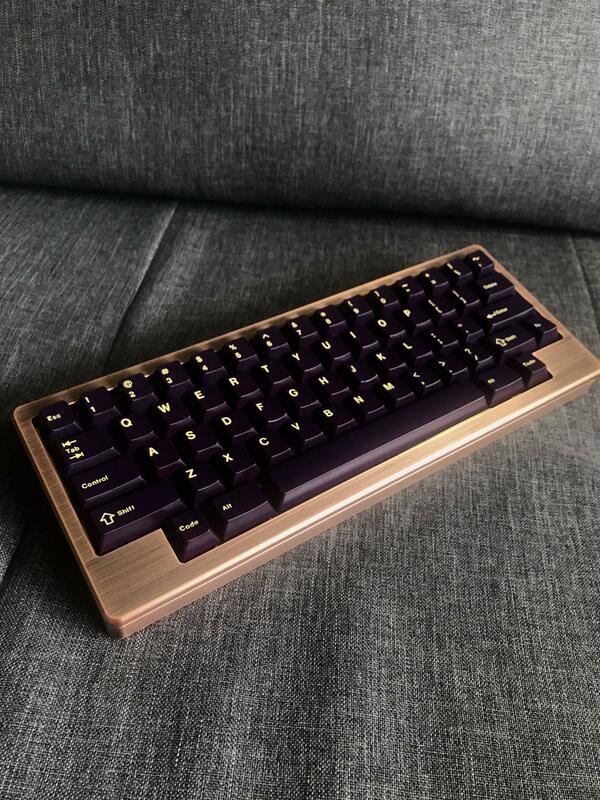 Any updates on the space bar kit from Zfrontier? I am still waiting for my base and space bar kit. My order just shipped moments ago from zFrontier, which includes the spacebar kit. You should get yours shipped soon, if not already. Just got my shipping email from zFrontier!!!!!!!! I got both Base + Spacebar. I haven't received any shipping email from Zfrontier yet. I hope they didnt miss out my order. I already have one non-delivery from CREATEBOARD. Another one may just make me swear off group buys here. Cute combo! It is sensitive to light, sure, but I like it and it matches the TX60 Copper antique well! Finally got my RAMA Artisan from zFrontier! That was a loooong wait, but in the end all things good. I got my base set and spacebar kit, but not very happy with the purple, way too dark. Any estimation date for extras?